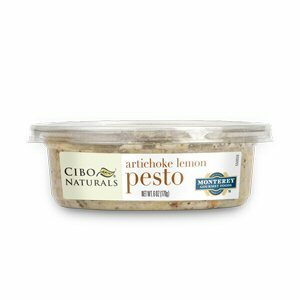 Cibo's beautiful, robust-flavored Artichoke Lemon Pesto will add interest to your dishes. 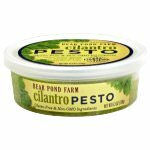 This pesto contains artichoke hearts, Parmesan cheese, extra-virgin olive oil, fresh garlic, lemon juice and more. A true artichoke flavor with a kick of lemon and crushed red pepper. 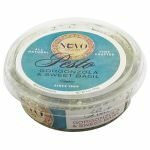 Toss it with past, spread on bread, it is delicious on sandwiches. 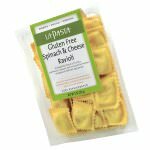 Ingredients: Artichoke hears (artichoke hearts, water, salt, citric acid), canola oil, parmesan cheese (pasteurized part-skim cow's milk, cheese cultures, salt, enzymes), extra-virgin olive oil, fresh garlic, lemon juice, parsley, skim milk, sea salt, spice, red pepper flakes.